Combine all ingredients in a large bowl and mix well. Cover and store in refrigerator until ready to use. Heat over medium heat prior to using for best flavor. 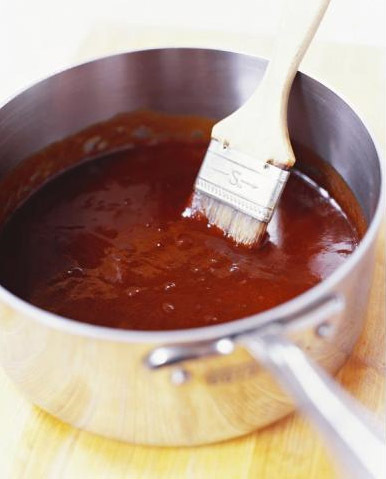 **Caveman Tip: I prefer to prepare the BBQ sauce the night before you use it, as it allows all the flavors ample time to blend resulting in the ultimate savory BBQ sauce. This entry was posted in Gravy and Sauces, Recipes and tagged barbeque sauce, BBQ sauce, Caveman, homemade barbeque sauce, homemade bbq sauce, sauce. Bookmark the permalink.